Can bioprinting be used to address the organ list? How can bioprinting be used for organ transplants? These are common questions we are asked by people regarding bioprinting technology and our printers. The answer is yes and no. 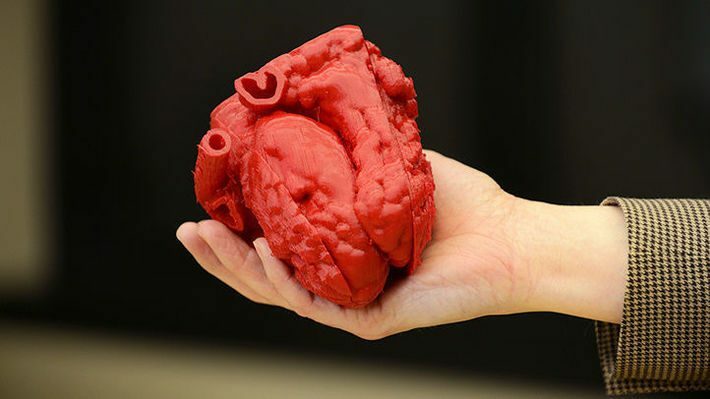 Yes, you can probably print a whole organ but it will take a very long time and require a substantial amount of resources. For example, the number of cells necessary is immense. It is estimated that the human body contains 37.2 trillion cells1, which is an enormous number. Breaking it down to individual organs does not make the numbers much better, where the liver is estimated to have 360 billion cells and the kidney, 10 billion cells1. How would someone grow that many cells? A single standard T-75 flask can hold around 8.4 million cells at confluency2. To obtain enough cells for a kidney, you would need approximately 12,000 flasks! And for a liver you would need approximately 43,000 flasks! You would need a small army of lab technicians to maintain all of those cells for one patient. Reducing the initial seeding density by a factor of ten and allowing the cells to populate the organ construct through proliferation does not help the situation and is still is an immense task. This is just one challenge that must be overcome. Beyond the cellular and material requirement, other issues that must be addressed include the systems necessary for organ culturing and maturation, assurance of proper organ development and functionality, and the time needed to generate a mature fullsized organ. Since printing a whole solid organ is not practical at the moment, where can bioprinting make an immediate impact? Many organ failures are not immediate unless resulting from a traumatic injury. Often people are placed on the organ waiting list after a long history of deterioration in organ functionality and can remain on that list for years. Many organs such as heart, lungs, kidneys, and liver can exhibit scarring upon damage that inhibit regeneration. Additionally, organs such as skin can be damaged to the point where they cannot regenerate or heal such as severe burns. Other tissues such as heart valves and blood vessels can deteriorate to the point where they mechanically cannot properly function. All of these damaged organs could potentially be repaired utilizing small tissue patches as needed to delay or prevent ongoing deterioration to the point where a total replacement is necessary. The fabrication of small tissue pieces is much simpler than the engineering of an entire organ. Partial organ repairs can have an immediate impact on overall organ health by removing scar tissue, providing a blueprint for tissue regeneration, and delivering cues to guide healing. Additionally, the partial repair of one organ can delay the deterioration of another organ. For example, the repair of a leakly heart valve can reduce the workload on both cardiac tissue and reduce blood pressure in other organs that may be causing inflammation. Additionally, the human body is a better incubator than can ever be engineered in the lab. Instead of the transplantation of a full-sized organ such as a kidney or liver, one possibility is the bioprinting of multiple small kidneys that could be grafted onto the renal artery in a patient. Many organs undergo compensatory hypertrophy to compensate for lost tissue function. Famously, upon the removal of a kidney, the other kidney will enlarge and increase function to counteract the loss of a kidney3. The hope is that these bioprinted kidneys will also enlarge over time to recapitulate the native kidney function to the point that the defective kidney may be removed. One can envision similar approaches for other organs such as the liver and pancreas. While the bioprinting of entire solid organs may be out of reach at the moment, there are immediate applications in the repair of deteriorated organs through the generation of tissue grafts that can start and aid the healing process. These repairs may be capable of reducing the number of patients that are added to the list each year by stopping or reversing the progression toward organ failure. With lessons learned from the fabrication of small functional tissues, one can envision a new organ can be pieced together over time within the patient, rather than all at once. Bianconi, Eva, et al. “An estimation of the number of cells in the human body.” Annals of human biology40.6 (2013): 463-471. Taner, Timucin, et al. “Compensatory hypertrophy of the remaining kidney in medically complex living kidney donors over the long term.” Transplantation99.3 (2015): 555-559.